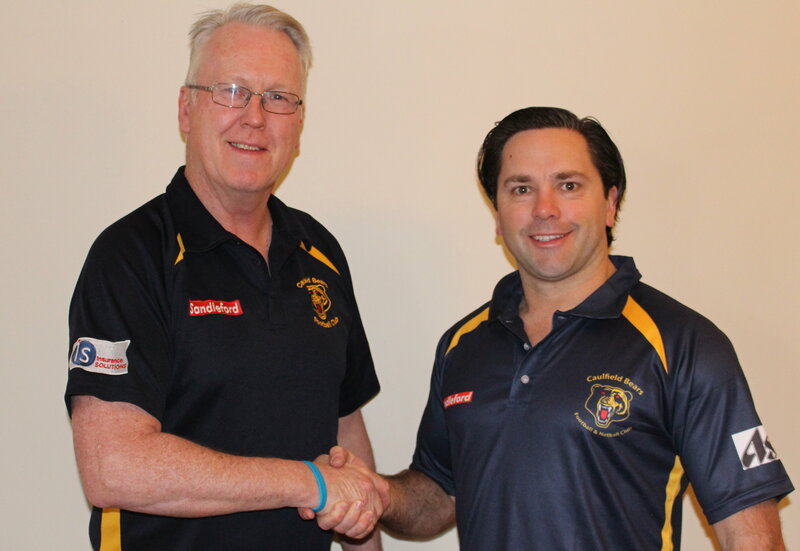 The Caulfield Bears are very pleased to announce our Football Coach for Season 2019 will be Chris O’Keefe. Chris has an illustrious playing and coaching career having been a VFL player, a premiership player and coach and multiple Grand Final appearances. Chris grew up in Bungaree and played in the TAC Competition for 2 seasons before joining North Ballarat Roosters in the VFL. He played 5 seasons with North Ballarat and moved to Melbourne to pursue work opportunities. He joined Spotswood FC in 2008 and played for 6 seasons with the club making a huge impact both as a player and as a coach in this time. 7 Grand Finals in 11 seasons as a player &/or coach. We welcome Chris to our club and look forward to Season 2019 with high hopes and great expectations.